The KMIN= and KMAX= options indicate the smallest and largest number of components to consider. 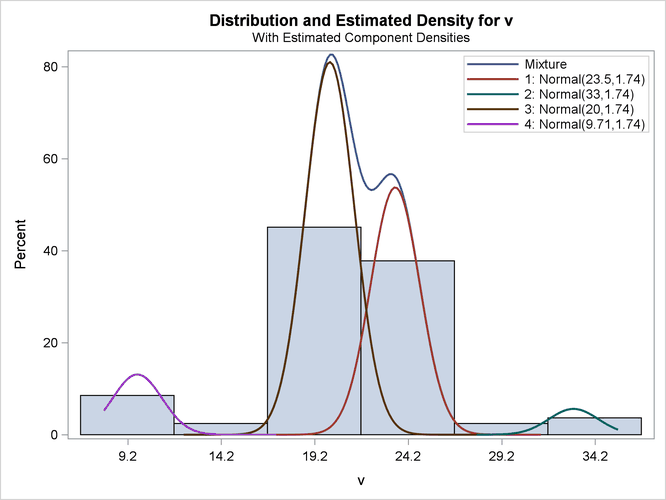 The ODS GRAPHICS and ODS SELECT statements request a density plot. 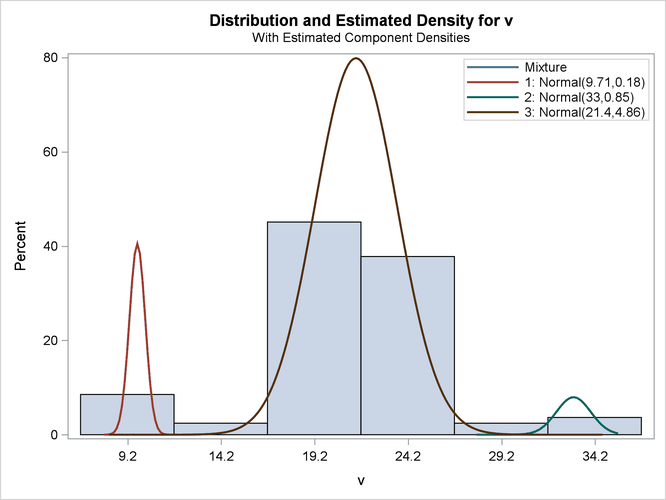 The output for unequal variances is shown in Figure 51.14 and Figure 51.15. This example uses the AIC for model selection. 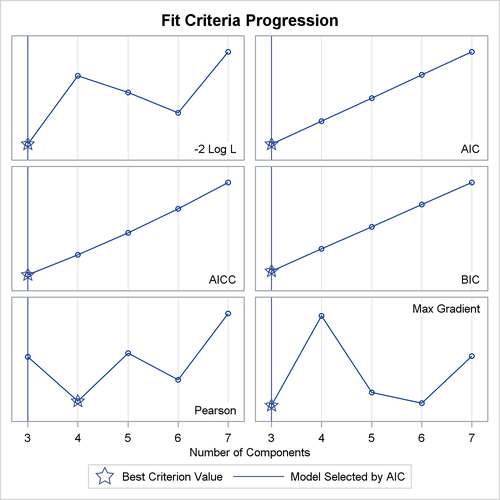 Figure 51.16 shows the AIC and other model fit criteria for each of the fitted models. The output for equal variances is shown in Figure 51.17 and Figure 51.18.